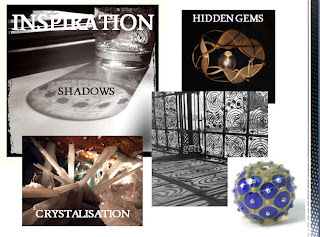 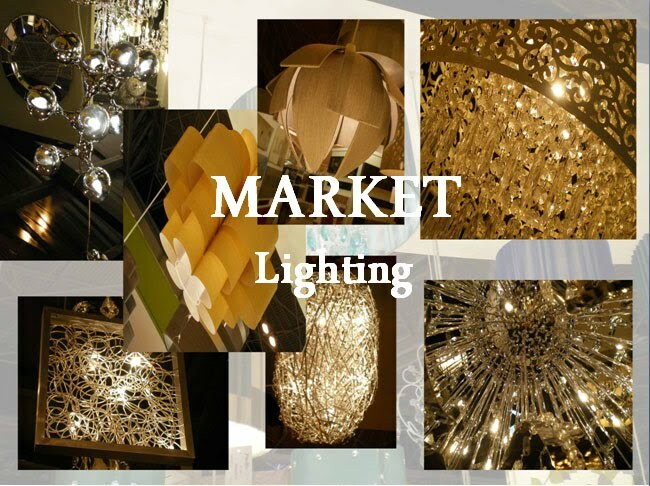 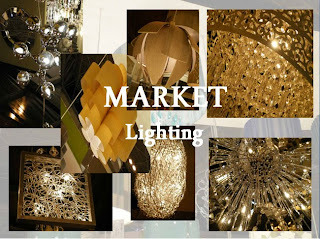 Lighting became my main market source of inspiration, Visiting the Interior Design show In Birmingham NEC 2011, became my main source of inspiration, looking at new innovative ways for lighting. 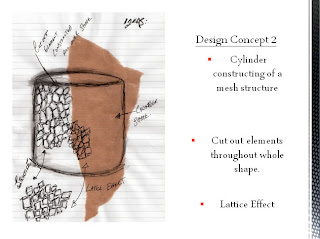 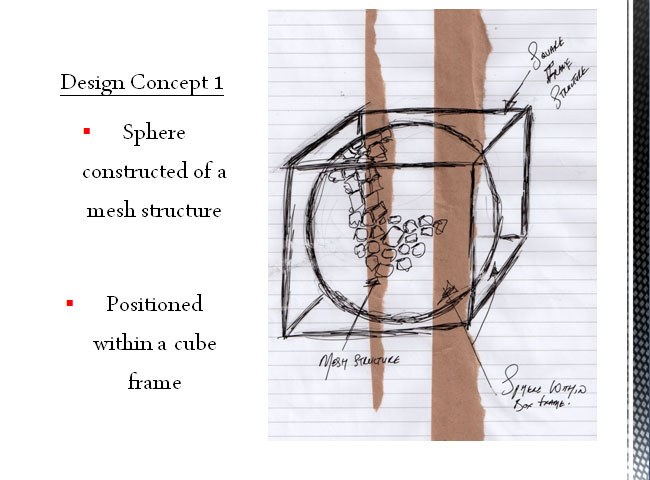 Initial design concept 1: This design consisted of a sphere with cut out sections, positioned within a cube. 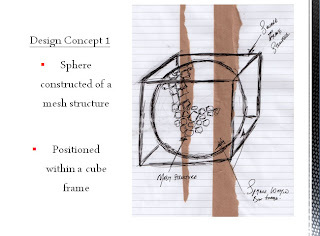 However it would be impossible to acheive as a design needs a solid structure to be positioned in, and the cubve would have no substantial wall structure to be constructed. Inital design concept 2: Continuing from the previous design, using the cut through technique, it would be interesting to see the way light reflects from a cut through surface like this. See how to create cut through elements for further details as to how this was acheived. 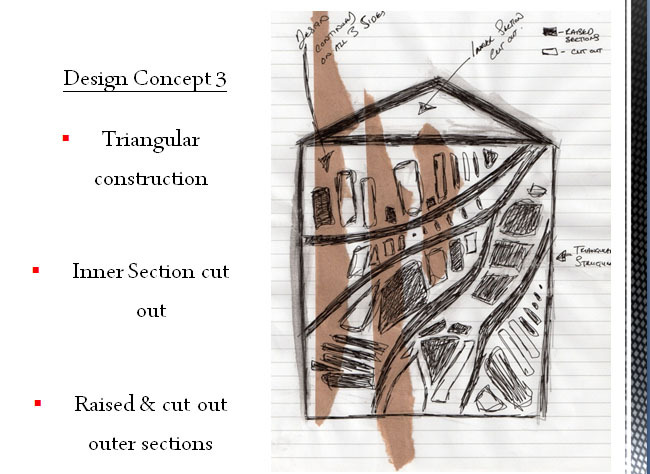 Initial Design Concept 3: A structual pyramid, with a central cut through section, consisting of raised and cut areas.